This lil (ha!) filly has personality plus!!! She was abandoned at about six months and found hobbling on the streets. Easton was picked up by a local animal control who contacted AAE for placement. Easton was non-weightbearing on her right hind. Imagine the little gal, she was a stray, out alone on the country roads and probably had not felt safe enough to rest. Once in a paddock at animal control, she laid down, but couldn't get up. We took her in at AAE. Upon extensive evaluation and radiographs by our vet, we learned that Easton had a fractured pelvis. Her prognosis was questionable, but despite the fracture, she was a very happy, otherwise healthy, friendly, and outgoing filly with youth on her side. She was hospitalized for a week or so for night-time monitoring, as she was having a tough time getting up once she laid down. 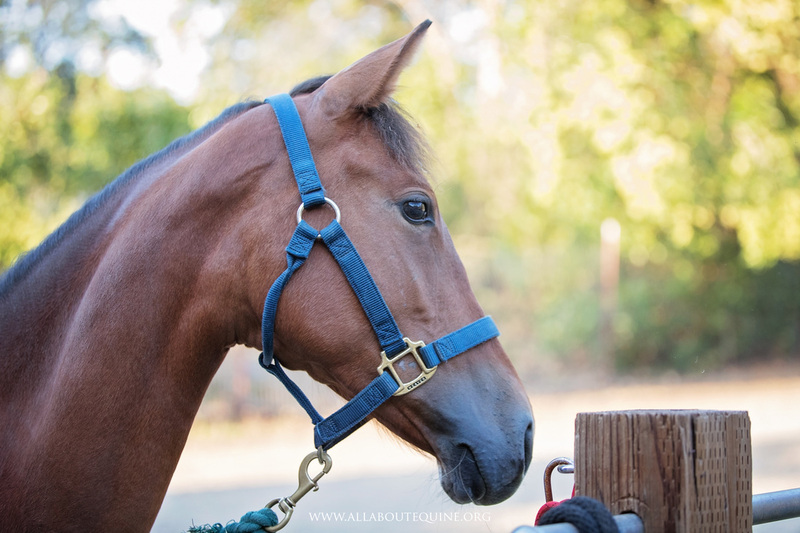 After discussing all options, we decided to give her 60-days to see how she progressed. Easton is a fighter; she did quite well. She was closely monitored on stall rest for another four months. She reached a milestone at six months, and her hip radiographs look GOOD! However, she has had one setback over the last couple months of her stall rest. She had grown like a weed. 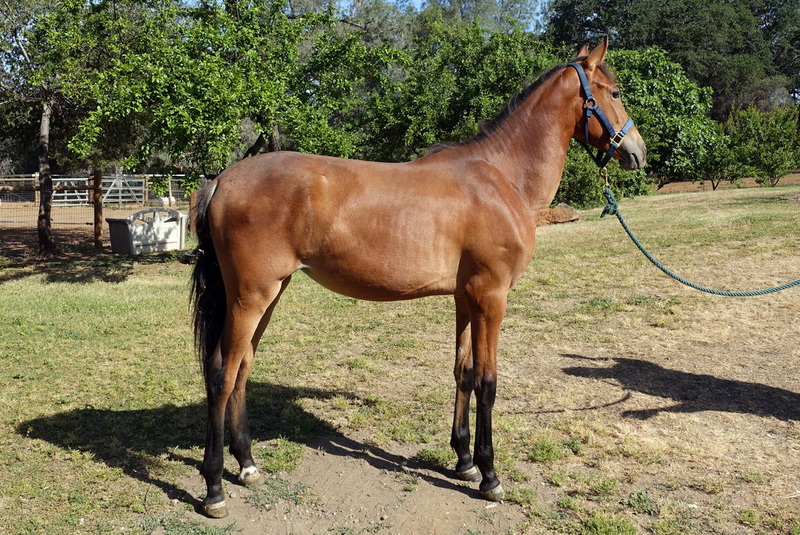 She was a very large yearling, and her rapid growth coupled with confinement due to the fracture resulted in contracted tendons that caused her to "knuckle" over her front fetlocks when she walked. 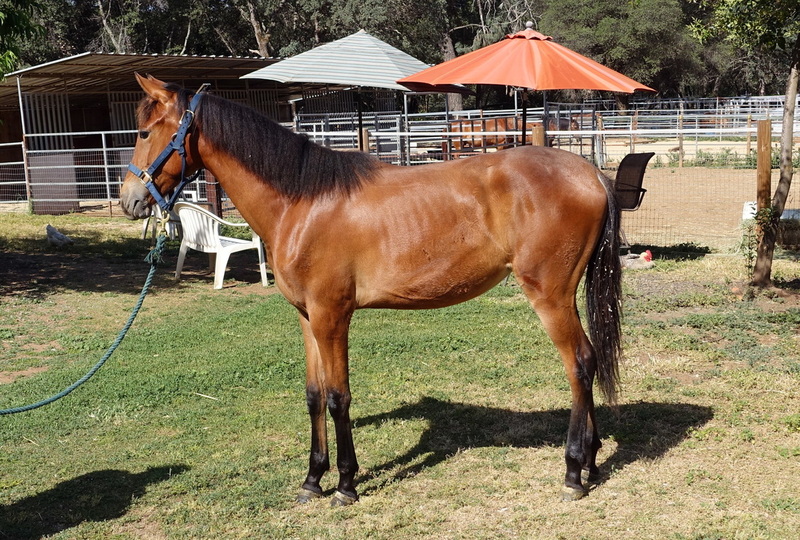 We were hoping that turnout would help relax the tendons and increase her muscle strength, but it did not. Although, she thoroughly enjoyed her turnout experience after such lengthy stall confinement. Another hurdle for this always smiling lil filly; she needed check ligament surgery to help relax the tendons in her front legs. Three months after surgery, Easton got her turnout once again, and she is doing great. 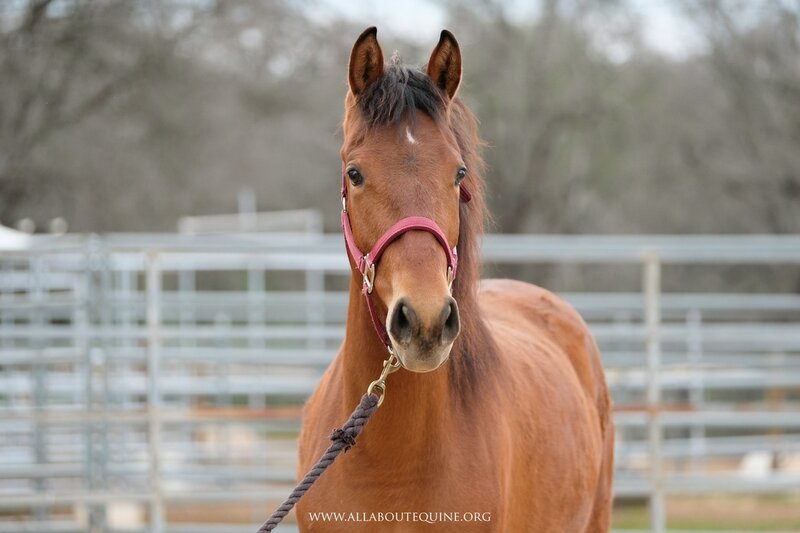 This filly is a special girl that has touched many of AAE's volunteers! She is an absolute character with an amazing personality. She needs a special person to be her friend for life. 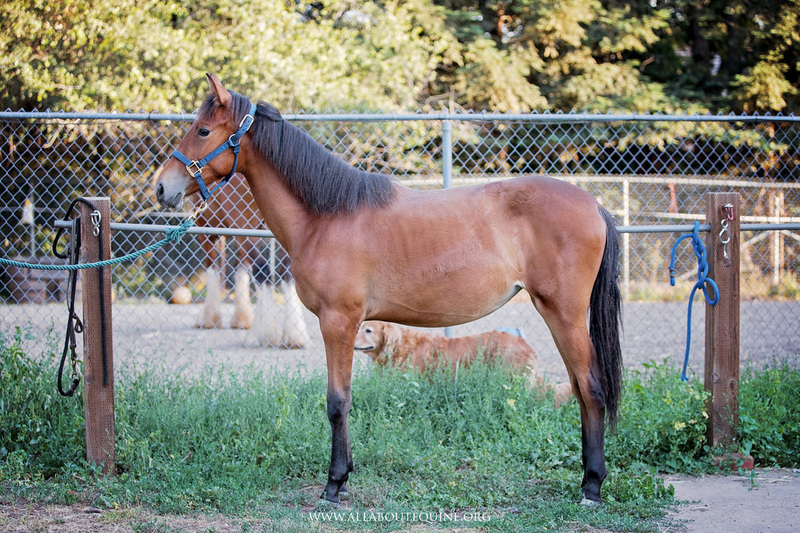 Due to the pelvic fracture, she will not be able to be ridden, but she promises to be an incredible companion for someone seeking a horsey friend. Are you that person? 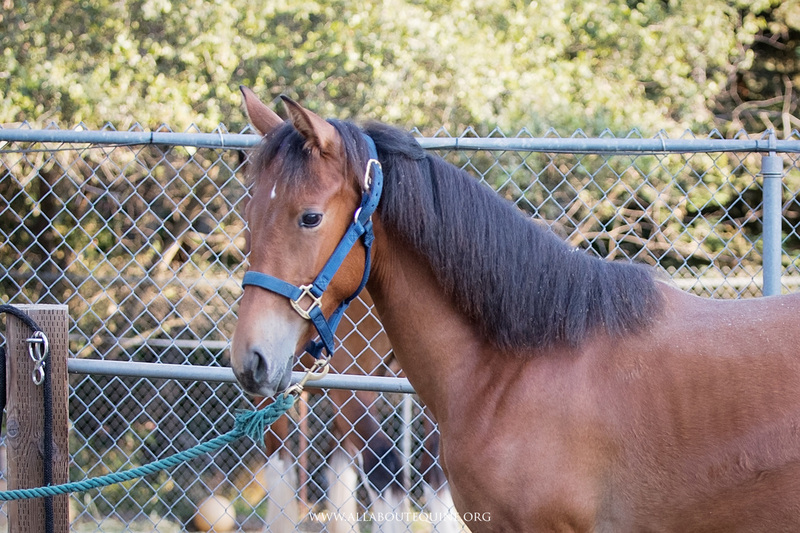 Easton is current with vaccines, deworming, and hoof and dental care.